Parker has been diving since 1997 and found his niche as a technical diver very early on. As a Medical Doctor specializing in Infectious Diseases, he spent his first few years with MMDE as a medical consultant and doing some basic shallow water safety diving. 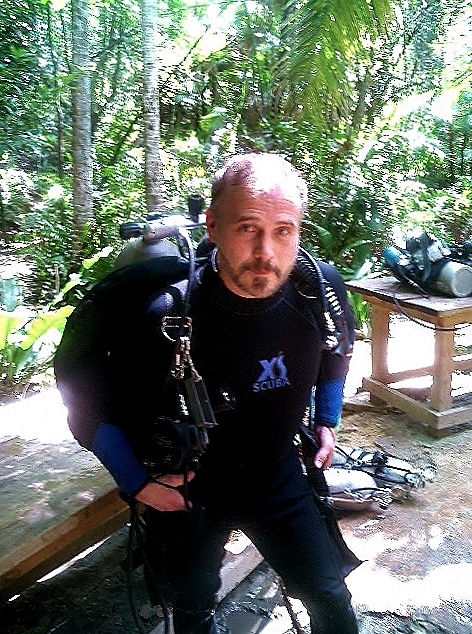 In 2001 he ventured with the team to Akumal, Mexico where as a team, was trained in the overhead environment of cave diving. Returning he immediately enrolled in Mixed Gas certifications and to date probably has 90% of his dive experience in caves and deep support diving for the NMDE missions of past. Adopting the GUE/DIR philosophy early on allows Parker to share with new members this safe and efficient method of diving.